Greek Lessons offers a groundbreaking introduction to Greek as it is spoken by native speakers. 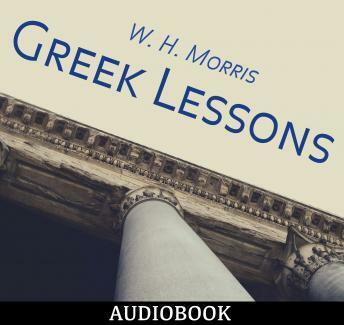 This audiobook is written to target beginner and intermediate learners of the Greek language, it covers a wide range of basic nouns, verbs, common expressions and personal tips that the author used to achieve a very good knowledge of the language. This is one of the first interactive Greek audiobooks, based on audio learning. In this lessons, through questions and answers, you will be able to learn basic Greek vocabulary and phrases to fluently express yourself. Because it is an audiobook, it will help you to clearly speak the language. The beginner student can listen to the book on their own without the need of a tutor. Repetition of difficult grammar items makes learning difficult grammar less daunting.